David Hunt Lighting are one of the UK’s oldest decorative lighting specialists, creating hand made products for over 100 years. The Lite Spot are one of a select group of David Hunt Lighting Brand Partners, which means we have extensive ranges on display in our showroom and specialist training on their stunning products. As David Hunt Lighting products are hand made in their Cotswold workshop, they can be tailored to your needs and each one is handmade to your requirements, all lovingly created by their team of artisan workers. As these products are made in the UK they are not subject to excessively delivery times like many of their overseas counterparts, with most orders completed usually between 7 – 10 working days. Our showroom and website are stocked with the exciting ranges, however if these do not exactly meet what you are looking for do not hesitate to contact us as they are fully customisable and can be created to suit you. David Hunt Lighting use resin to create many of the lights and lamps in their collection. Resin is a natural compound that can be injected into moulds, and when set it will perfectly replicate the textures and details of the original product. 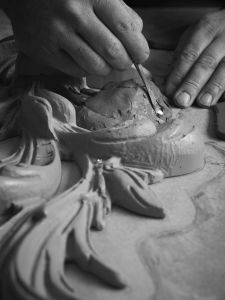 The flexibility of resin allows for incredibly intricate designs to be replicated many times. Once the desired product has been cast it can then be finished to create the final product. Common resin finishes include metallics such Bronze, Pewter, Steel, Copper and brass. The final resin product can also be painted, giving an even wider choice of customisation. Marston & Langinger paint is used across much of the David Hunt Lighting range because of the rich pigmentation they have, which creates an extraordinary colour depth. 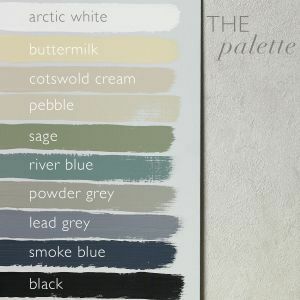 However you are not limited to the Marston & Langinger palette and many products can be painted in almost any finish required, which includes the Dulux colour palette. David Hunt Lighting produce a collection of pendants, also known as spinning’s, which are again finished by hand in Marston & Langinger paint in your desired colour. We love the simplicity of the Reclamation pendant, particulary with a contrasting inner finish. Smoke Blue and Chrome look particularly effective together, and the braided cable finishes the look off perfectly. Looking to add some industrial chic? A lower metal cage, in choice a of Copper, Chrome or Antique Brass finishes, can be selected to transform this pendants appearance. A new addition in 2017 was the large Shoreditch pendant. Available in two sizes, the large version has a huge 49CM diameter meaning it fills out space and creates a central focal point. The Shoreditch has a white gloss inner to allow maximum light reflection. Probably the most iconic range of products David Hunt Lighting create is the stunning Antler range. These amazing pieces are hand made to order in the Cotswold workshop, using a process of injecting resin into rubber moulds which were originally cast from real antlers. The detail on each piece is truly amazing, mimicking real Antlers perfectly. By using this process David Hunt Lighting can create lights that look truly life like, with each one being lovingly hand painted. As standard the Antler range is hand painted in either a traditional dark rustic or a lighter bleached finish. They also can be ordered in bespoke finishes which include white and black to create a really dramatic piece. If you do not like the appearance of light bulbs several pieces in the range are also available with soft shades to diffuse the light output. David Hunt Lighting also create a magnificent selection of animal themed table lamps. 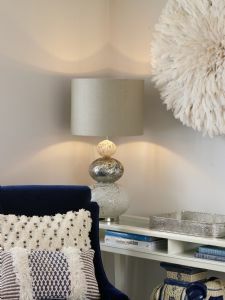 The lamps, which are also created using the resin injection technique, include a beautiful bronze hare named Hopper, a proud elephant table lamp called Tantor and the regal stork styled Bird table lamp. The hand crafted method picks out incredible details on these lamps, you will notice something new every time you look at them! Don’t miss the individual feathers on the wings on the Bird or even the pages and titles of the books which Hopper sits! Natural inspiration continues throughout the table lamp collection with stone bases such as the elegant Band table lamp, the fossil like Amonnite and the beautiful Sayer seahorse. These bases are cast by hand and the shot blasted to create a weathered finish which adds to their immense character. Many table lamps are available as base only, which allows them to be customised further with optional silk shades giving a personal feel. The 100% silk shades used on David Hunt Lighting products are all made by hand in the UK by The Light Shade Studio and are available in 13 colours, with a choice of inner laminate lining colour. Usually shades are available within 14 working days. We like to consider the choice of inner laminate lining when selecting our shades as the different finishes can really enhance the table lamp base below. A bronze laminate lining on a bronze Hopper Table Lamp will add extra warmth and glow, as the light reflects down onto the base. 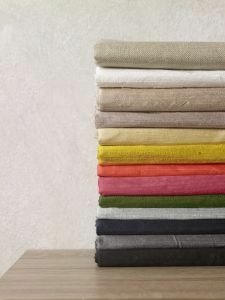 One of the coloured laminate linings will also create a richer colour to the outer silk fabric, creating a more solid finish as less light can pass through the shade. Brand new to the 2017/18 is the Alchemist Collection which is a stunning series of table lamps which feature the finest glass and ceramic table lamp bases from Portugal. These delicate bases are complimented perfectly with the silk shades by The Light Shade Studio. We particularly love the Boavista table lamp which features three stacked glass balls which get progressively smaller in size and is finished with chrome trim. This is a large base and creates a real statement. David Hunt hand make an amazing collection of hand made chandeliers in traditional designs. These include the opulent Bailey, the elegant Pigalle and the sweeping Therese. The Bailey chandelier is a traditional Flemish style design with intricate cast resin detailing and hand bent solid brass arms. There is also a choice of hand applied finishes such as Bronze and Antique Cream. These chandeliers are finished with braided cable to further convey the luxurious feel, which can be extended to suit your ceiling height if required. Also don’t forget to look all the way up when you are choosing one of these beautiful pieces – the intricate detailing extends all the way to the ceiling cup! Finally David Hunt Lighting have created a high quality range of solid brass outdoor lights that are sure to withstand the elements and look stunning at the same time. 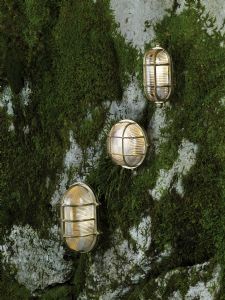 Included in these pieces are the Admrial and Crewe outdoor wall lights. These imposing fittings are inspired by industrial elements and finished with a clear ribbed glass. The weight of the Crewe immediately tells you this is a piece of art that is made to last. We feel that David Hunt Lighting really needs to be seen to be fully appreciated. The detailing, the hand craft love and care put into each piece is truly magnificent. We display extensive ranges in our showroom and would love you to come and see them for yourself. Once seen you will love them just as much as we do! If you have any questions about bespoke services or would like swatches of silk fabric or paint please contact us.